With a wide range of bus options, capable of holding as few as 18 passengers or as many as 56 passengers, Florida Charter Bus Company is equipped to transport all of your students safely and efficiently on your next school trip. From educational opportunities to college tours, let us help get you to where you need to go with ease. To schedule your private bus, call us any time at 305-359-5975! We ensure that buses booked through us are equipped with modern safety features and operated by professional and experienced drivers. You’ll also enjoy comfortable amenities like plush seating, air conditioning, and WiFi, making for a comfortable journey. Having a get-together away from campus? Load into your private minibus to keep everyone together and make sure that no one gets lost on the way. We’ll take you to offsite meetings, faculty parties, and all other types of events. Book a bus for your school’s team so they can enjoy a comfortable ride to their next away game. 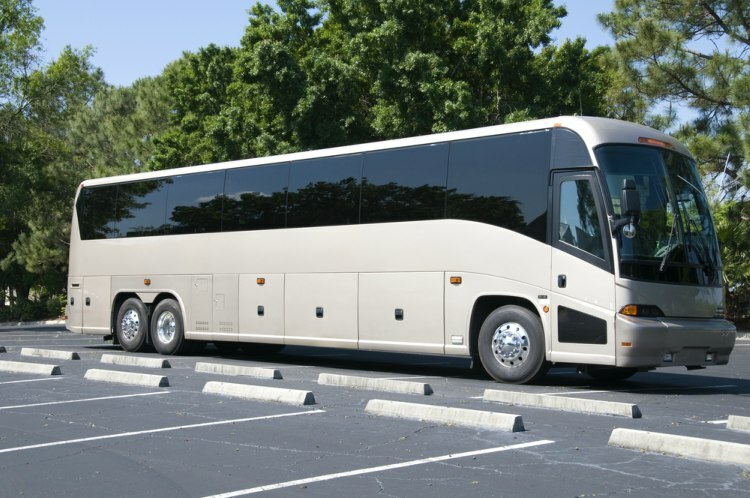 We’ll make sure your bus is outfitted with plenty of storage space for equipment and luggage. Your team will enjoy their ride to the game, during which they can talk, play games together, and bond while on the road. Need a bus for your next university gathering? From greek events to rallies to research opportunities, we’ll keep your students organized so you can focus on your event. No matter how many passengers you’re traveling with, we’ll make sure everyone is accounted for on your bus. We service several locations across Florida. Wherever your trip takes you, we’ll make sure you’re guaranteed a smooth and safe journey. Relax with amenities such as air conditioning, comfortable seating, and lots of legroom while you enjoy your time spent with colleagues or classmates. Book your own bus today by calling us at 305-359-5975. Our team is available all day, every day to answer questions and choose your perfect bus. We can’t wait to hear about your upcoming school trip!